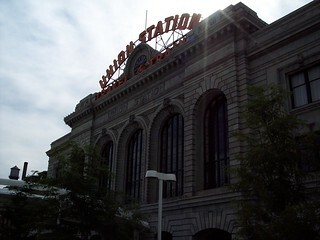 The track side of the station building. 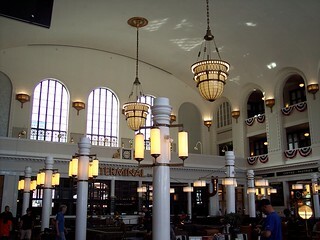 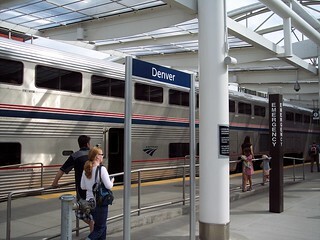 The California Zephyr making its stop at Denver. 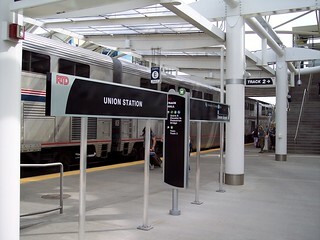 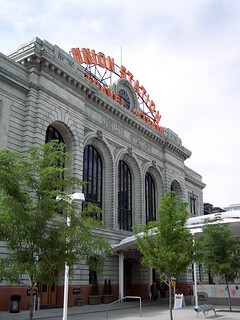 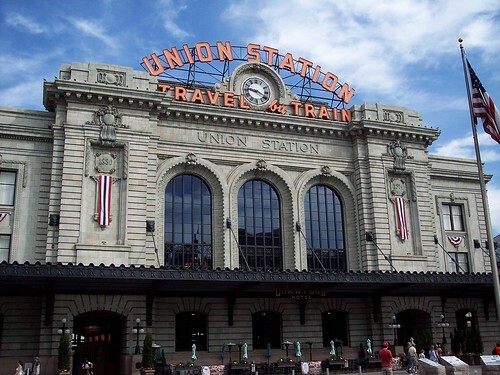 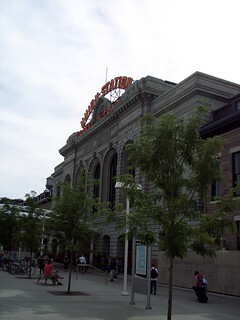 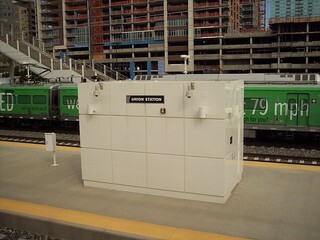 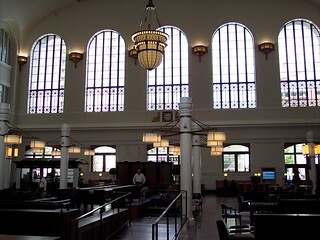 The station also serves RTD commuter trains.